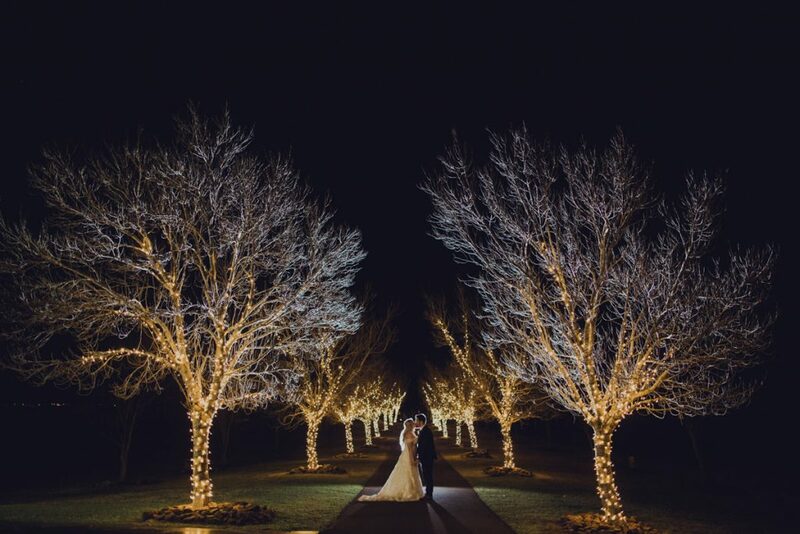 Lighting is becoming more of a feature at weddings, with decorative lanterns and fairy lights dominating the trend. With an avenue of lights at your disposal, Preston Peak fits right into this trend. 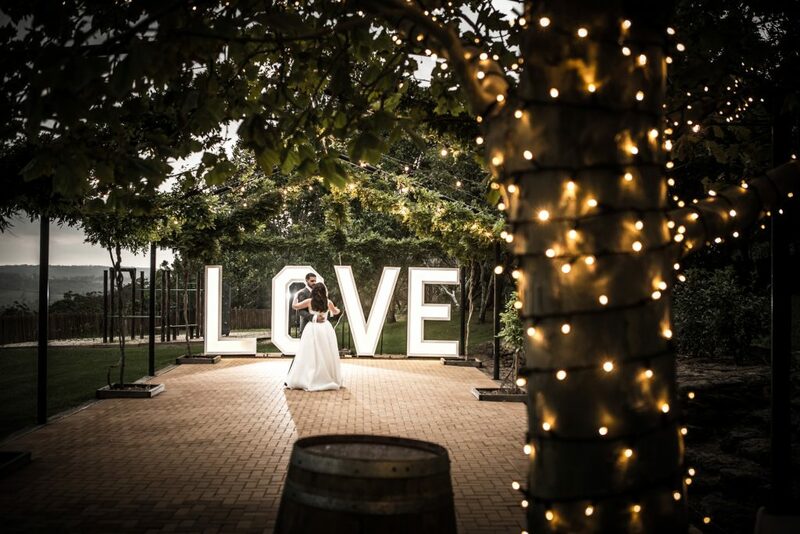 If you’re one for making an even bigger statement, our “Love” sign is the perfect way to light up the night, and makes for beautiful photo opportunities! 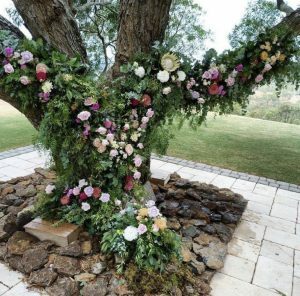 Wedding florals are breaking away from tradition and we are seeing more organic shapes and stylings being used with plants such as wheat, grass and dried flowers. Wheat creates a unique statement piece, and paired with richly coloured florals it makes a perfect arbour. 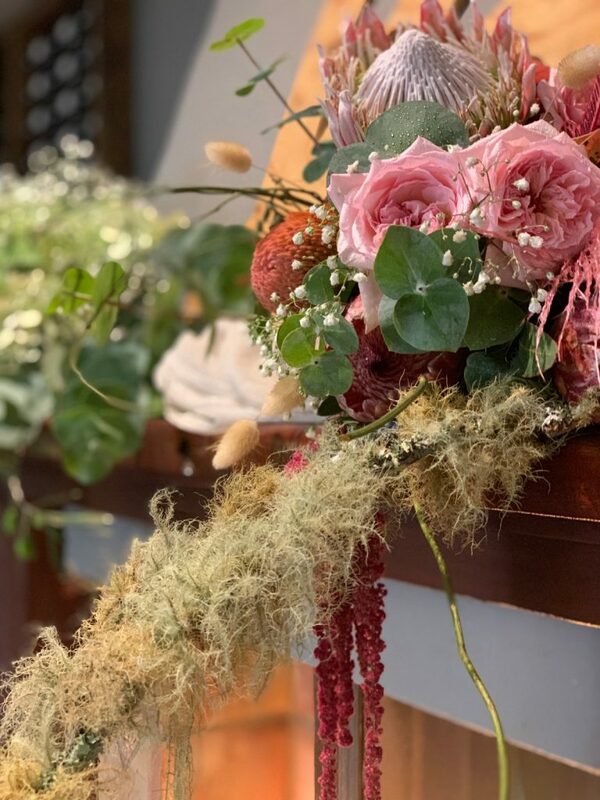 Bouquets are also seeing this change, becoming more wild, unusual and gorgeous; combinations of dried and fresh flowers in the bridal bouquet can become a unique keepsake, plus dried flowers are a sustainable option! With the cooler months approaching it’s the perfect time to embrace the dark side – in the most beautiful way! Autumn weddings are seeing more hints of velvets and edgy dark tones creep in; whether it’s in the flowers, the crockery or the cake. 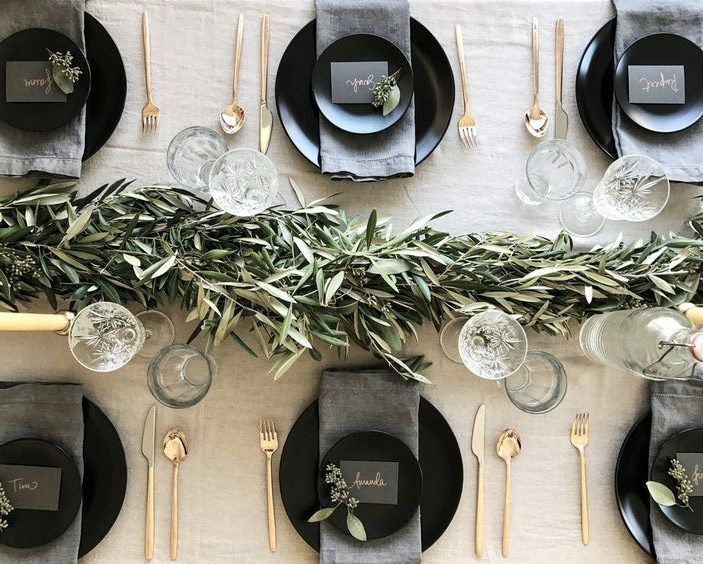 If you’re wanting to approach this trend lightly, why not go for the Midas touch and add hints of golds to the dark features – golden cutlery paired with charcoal plates can create a dramatic statement piece. 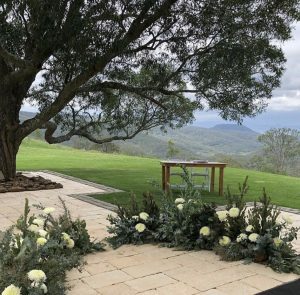 Whilst it may be cooling down, outdoor weddings are not to be ruled out! When you’re after that outdoor wedding but want to create the cosier vibe that Autumn calls for, why not bring the inside, out? Bringing plush sofas and cushions out onto bohemian rugs can capture the essence of the indoors without having to be inside. 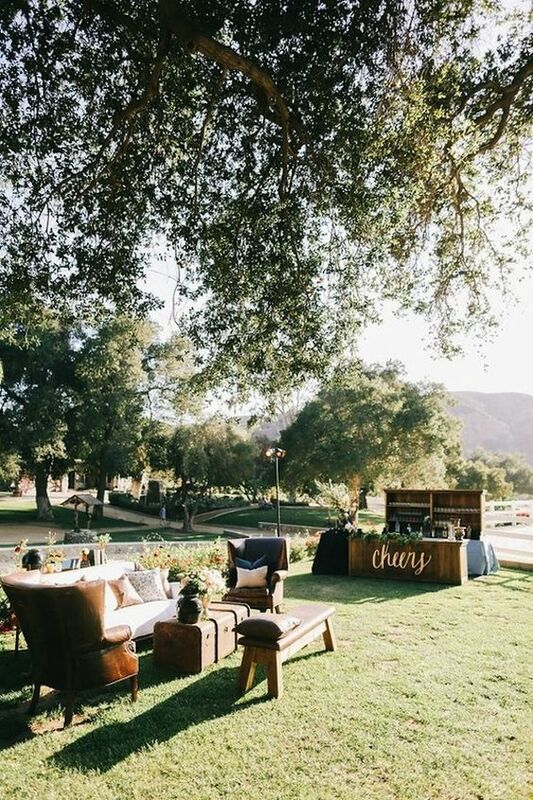 With the option to have our Catering Van with more casual dining options on the Pavilion Green, outdoor weddings can be perfectly catered for.